Game Masters are one of the core elements that makes Gary Con possible. We want you to help us make a great Gary Con by submitting your games, reserving your tables, and running some games and events! To run a game of your own, you will need to submit all the details via the Table Top Events page once Event Submission opens (September 10th 2016). Within 2 weeks of online submission, your event will be reviewed by our staff and you may be contacted for additional information. Once approved, you will receive an email verifying your event details and the event will be added to the catalog. Players can begin signing up for your game when online Event Registration begins. 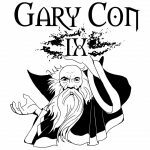 You must have a valid badge for Gary Con IX to submit events. Event submission happens via the Table Top Events page, links and details to be announced for the September 10th Submission opening date..
All participants who submit and successfully run at least 1 event will get a distinctive GM Badge with Gary Con neck wallet and be able to take advantage of our free GM tableside concierge service. Once every game session, a GC volunteer will come to your table to offer you a complimentary beverage and snack. GMs who submit and successfully run 8 hours will also get a Special GM Stadium Cup that gives the benefit of all three of the GC Souvenir Stadium Cups. You may use it to get $1 soda refills or $3 Spotted Cow beer all convention long, and during Happy Hours you will receive your choice of free soda or Spotted Cow beer. It’s the one cup that rules them all! GMs who submit and successfully run 16+ hours earn a $65 credit towards the purchase of a badge for Gary Con X. Please make sure to turn in your sign-in sheets to Headquarters so we can properly credit you for running your events. EARLY BIRD GETS THE WYRM. All GMs who submit 12 hours (or more) of events by October 31st will get a uniquely designed GC IX GM t-shirt. This shirt is only available to GMs and will not be for sale at the convention. Note: GM rewards are reserved for GMs who submit their events as a part of the event catalog and are available for pre-registration for attendees. Games run during open gaming do not count toward total hours for GM rewards.